Fridge Door Shelf Support by robertskogvold is licensed under the Creative Commons - Attribution - Non-Commercial - Share Alike license. 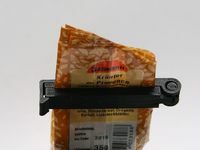 This is a support part to raise the edge on a fridge door shef to prevent bottles and other stuff from falling out. 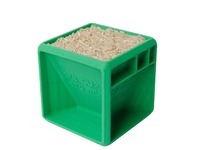 Fits tray wall-thickness 2,3 - 2,5 mm. Push a Hultafors folding ruler through each support. Say thanks by giving robertskogvold a tip and help them continue to share amazing Things with the Thingiverse community. We're sure robertskogvold would love a Tip, but unfortunately they have not setup their accounts to receive them yet.